While relatively new, Sparkle Slots has proved to be very reputable and trustworthy casino that blends top-notch features to impress and enrapture even the most experienced punters. 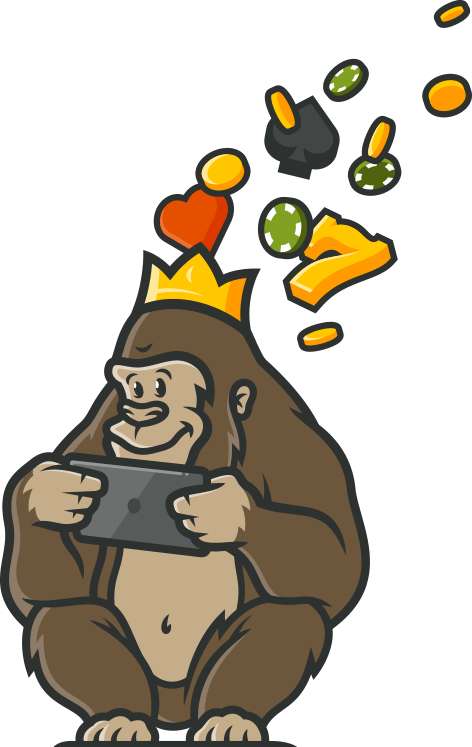 The other day, our Casino Gorilla decided to swing by this glittering online casino, to see whether it lives up to its hype or it’s just another flimflam casino site on the web. Gladly, Sparkle Slots is one of the casinos powered and managed by the legendary Progressive Play—an industry leader in provision of high-quality casino content and white label gaming platforms that are tailor-made to meet the needs of all types of players. Chances are, our casino-reviewing prodigy was awe-struck by this operator. Let’s get to it, shall we? When you open an account with Sparkle Slots Casino and make your initial deposit, you’ll receive a warm 100% welcome bonus of up to £100. This is to mean, deposit £10 and you’ll get £10 in bonus; deposit £50 and get £50 free; and if you deposit £200, you get a fantastic £200 bonus! As usual, the welcome bonus is tied to several wagering requirements, which, sadly, the Casino Gorilla thinks are tough for players to beat! The welcome offer is just the tip of the iceberg. Keep an eye for other free and promotional offers at Sparkle Slots. There are happy hour bonuses, weekly surprises, live dealer cashbacks, 25% Cashback weekend, love of spins…even a very rewarding VIP program. For instance, the casino runs a promotion called Twice Wicked, where players stand a chance to win different types of bonuses including cashbacks and free spins. Another promotion, Show Me The Money, allows players to take on 2 slots from NetEnt for a chance to share a cash price of £10000. At the time of review, the Casino Gorilla didn’t notice any free spins offer as welcome bonus. But this is not to mean the Sparkle Slots doesn’t offer them. A while back, the operator was offering 5 free spins no deposit upon signing up on Shangri La using promo code 5SLA. After making a first deposit, the casino would also add you an extra 25 free spins on Bonanza using bonus code, 25BO. It appears that free spins promotions keep on changing with the seasons and being a new year; the Gorilla is confident this sparkly casino will introduce new free spins for slots fanatics! At the moment, the welcome offer doesn’t require a promo/bonus code to be activated. All you need to do is register, deposit a minimum of £10, and the match bonus will be funded directly and promptly to your account. However, other promotions such as free spins on Happy Hours may require a special code to be triggered. For instance, every Sunday Happy Hour gives you 5 free spins on different slots after depositing £10 or more using promo code HAPPY. Sparkle Slots will always notify its members if a bonus code is required to activate any kind of bonus, be it welcome offer, free spins, or cashbacks. Accordingly, keep a sharp look on the notice board! Players looking for a selection of chance-based or skill-based slots will be smitten by the utter volume of titles available at Spark Slots. I mean, its name completely resonates ‘slots,’ and it would have been unfortunate to disappoint players in this area of gaming. Thanks to a plethora of gigantic software providers such as Progress Play, Microgaming, Genesis Gaming, Thunderkick, NextGen, 1x2Gaming, Blueprint Gaming, and more, Sparkle Slots packs an impressive lobby of games. Expect HD-audio visuals, crisp and clear graphics, hiccup-free gameplay, and hi-tech animations. You can play demo or real money slots including 3-reel, 5-reel, 3D, and progressive slots for around the clock pleasure and entertainment. Among the most popular slots here include Gonzo’s Quest, Starburst, Jurassic World, Ted, Witch Pickings, Jungle Jim, Planet of the Apes, Blood Queen, Foxin Wins, and a whole lot more! Despite having slots as its core feature, Sparkle Slots Casino also integrates Live dealer games on its platform as it continues to strengthen its operations from strength to strength. The games are offered by professional croupiers from secure, space-age facilities. If its poker, players can see them being dealt as they place their bets, whether on mobile or desktop. Here you’ll find various versions of Live Blackjack, Live Roulette, Live Baccarat, and Live Poker. Multiple camera angles, as well as close-ups, ensure you get the most immersive experience possible. Are you looking to spin, play a table game, or spend time at a live dealer casino while on the go? If yes, then Sparkes Slots is a suitable fit for you. The operator works efficiently with all the major mobile phone operating systems—iOS, Android, Blackberry, macOS, or Windows. Enjoy popular slots such as Starburst, Gonzo’s Quest, Jungle Jim, Taco Brothers, Warlords, Aloha, and more right from your smartphone or tablet. You’ll require no app to play games at Sparkle Slots Casino—just launch your preferred browser, and the site will be available on instant-play. Sparkles Slots uses a standard security protocol that includes 128-bit, SSL data encryption to keep all the sensitive information safe and confidential. As such, all your involvement and activities with the operator are conducted securely free from any cyber-crime or hacking attempts. The casino is also fully regulated and licensed by the Malta Gaming Authority (MGA), and the United Kingdom Gambling Commission (UKGC), certifying player protection, fairness, and responsible gambling. Customer support is available for punters in three different languages; English, German, and Swedish. An impressive Live Chat feature is there 24/7 to help you get instant responses to your queries. If that doesn’t do for you, use email or get first-hand information on the site’s FAQ page. USA, Kenya, Ghana, Jamaica, Denmark, Czech Republic, Cyprus, Cuba, Croatia, Congo, China, Yemen, Ukraine, Tunisia, Turkey, Thailand, Sri Lanka, Sudan, Slovenia, Slovakia, Spain, Oman, Pakistan, Poland, Philippines, Vietnam, Virgin Islands, and Uzbekistan among others. While he considerers himself a real macho-man, the Casino Gorilla occasionally enjoys some glitters—Sparkle Slots provided just that! The repertoire of slots titles at the casino particularly dazzled the skillful ape, although he was also impressed by the variety of banking methods, robust security, and fairness of games. However, he was a little disappointed by the tough wagering requirements imposed by Sparkle Slots on the welcome bonus. 50x playthrough requirement?! 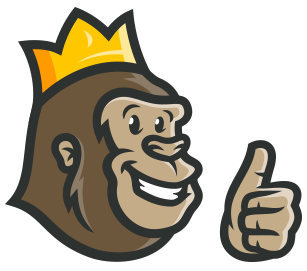 Overall, the positives are more than the drawback though, and thus, the Gorilla recommends players to sign up. Are you a slots aficionado? You’ll be glad you did! No deposit bonus offered, but great match offer. This site is packed with great games and offers many payment choices. Fast withdrawals are a plus! A little disappointed with the speed of the payout and bonuses with this one. The customer representative was very nice to me but the lack of attractive bonuses kind of prevented me from becoming a regular. But still, good fun for when you're bored.